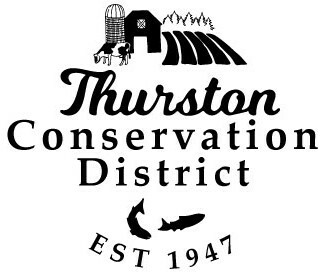 Nicole Warren joined the Thurston Conservation District in spring 2017 with a permanent position as a Natural Resource Technician. Nicole has spent several years working in agriculture on a variety of pasture-based livestock farms in the Pacific Northwest and in New England. She has a couple seasons of experience teaching environmental education to both youth and adults. In addition, she has worked in creameries making cheese and in production kitchens making sauerkraut. She has done a little bit of everything to get to where she is now. 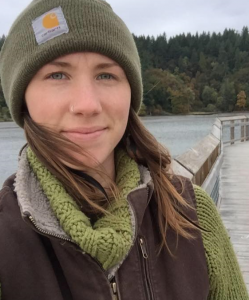 Nicole graduated from The Evergreen State College in 2015 with a BA in Agricultural Sciences. Her coursework included soil science, grasslands management, nutrient management, and ecology. Nicole is also a certified nutritional therapy practitioner and received her certification and training through the Nutritional Therapy Association. She has experience teaching nutrition as well as taking on clients one-on-one and in group settings. Nicole’s responsibilities at the District include providing technical assistance to landowners, developing conservation farm plans to assist landowners in implementing conservation practices on their land, and teaching community workshops from time to time. Through the District’s soil testing program, Nicole helps landowners to implement nutrient management practices by interpreting soil test results and writing site specific management recommendations. Nicole grew up in the middle of Connecticut surrounded by dairy farms, but didn’t experience farm life until she started working on farms at the age of 19. She developed a passion for environment issues at the age of 16 and has continued to find her place in local agriculture ever sense. When Nicole is not working, she is teaching workshops in the community on things like sauerkraut and soap making, hiking in the Cascades, singing with a group of friends, talking about nutrition, or writing.